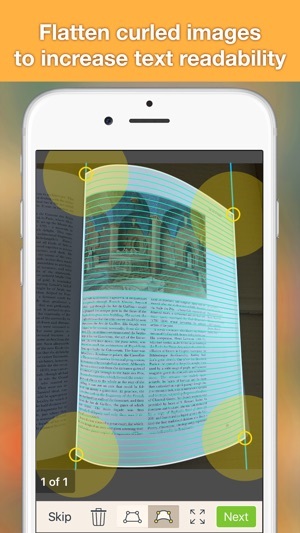 Scan all your documents with iPhone / iPad, and dewarp curled book surface to produce sharp images in a PDF! When there is no scanner nearby. you can use it to scan not only documents, but also books, whiteboards, receipts, business cards, posters, coupons, ...etc. 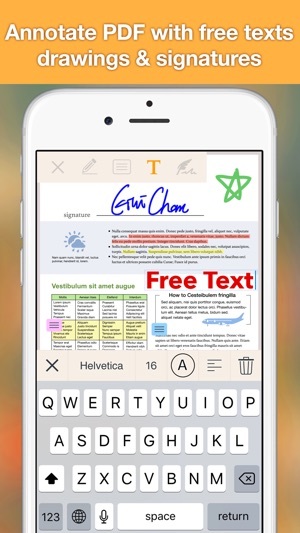 as PDFs, and annotate or sign the scanned PDFs. It can auto detect document edges and surface in a picture, dewarp curved surface, correct perspective distortion, remove shadows and brighten it up to produce a clear and sharp document, especially useful in a low-light environment. It is easy to drag and drop files to group them in a folder and organize in many ways: create, delete, edit, rename, deplicate, merge, split, and move documents between folders. You can search documents by name easily in the app. 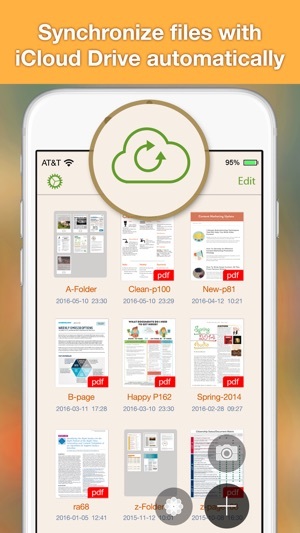 By turning on WiFi file sharing, you can read all PDF files on the device. You can also email documents out as PDF or JPEG files. - Fax documents to over 100 countries instantly (cost calculated by the number of pages and recipient country and paid via in-app purchase). - Support upload to iCloud Drive. - Support upload to Dropbox. - Support upload to Google Drive. - Support upload to Box. - Support upload to SkyDrive. - Support upload to WebDAV Server. - Print documents via AirPrint. - Save documents to Photo Albums. - "Open In" other apps, e.g. iBooks, Kindle, Adobe Acrobat Reader. - Import PDFs via "Open In" from other apps. In-app fax sending and receiving is convenient especially when you are out of office or have no fax machine at all. You will receive a push notification when a fax is sent or received succesffuly or failed for what reason. Tip: For best edge detection, please place your documents in high contrast to the background, e.g. put your white paper on a dark table. Your feedbacks are very important to us. Please contact our customer service at support@ifunplay.com for resolving problems before submitting feedback in appstore. Most problems can be solved easily, but we cannot help you solve problems from the comments. I use Docr Scanner to copy music to a software package called OnSong. Functional and keeps all my sheet music in one place. Many times staff lines fill in with a shadow or wavy lines appear. On these occassions I need to trash and then repeat copying process. I like that it turns my music into a pdf. It is pretty good, all it needs now is text recognition and pdf optimization and it would be perfect. Make sure you get this one and not the free version. 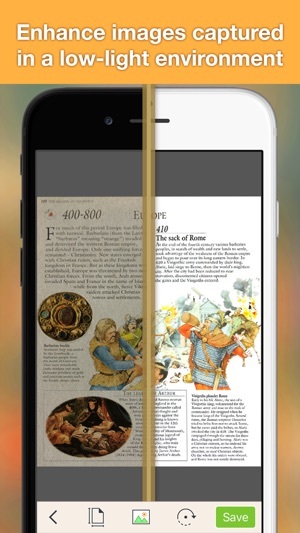 If you have used scanner pro or your other scanning app, this one is on par with those. It's what I wanted DocScan we to become. More ways to merge files from iCloud, Dropbox and other cloud based storage. It has a more streamlined UI. It eve Eta me transfer from the old app. That being said. It's still iffy on the scanning. It's still has issues directing edges and curves. It also feels a bit cumbersome to create folders and files within the folders. Finally, it doesn't seem to let me create passcode protected files like in DocScan. If it doesn't, it doesn't make it obvious and that was a plus of the old app. Hence 4/5. © 2016 IFUNPLAY CO., LTD.